A fixture on the local scene for the past five years, Stephanie Schneiderman has made great strides since the release of her sophomore album, Unbelievably Unbroken, in the Summer of 2001. While that album contained a number of real song gems, it also found Stephanie struggling, somewhat, to find her own true voice- at times sounding like a prisoner of the arrangements. Here, with impeccable production from Tim Ellis, and stately engineering from Bob Stark and Dave Friedlander at Kung Fu Bakery, here it sounds as if the arrangements are a result of Stephanie’s songs, and not the other way around. Schneiderman has an excellent background to be a professional singer. Having sung in musicals in high school and in the Top 40 band Hi-Fashion after, she honed her stage craft as a vocalist in Body and Soul, before embarking upon her solo career in 1999. With a girlishly reedy voice, Stephanie has the ability to sound a bit like Sheryl Crow, Dolly Parton, Stevie Nicks, Emmylou Harris, Shawn Colvin and Aimee Mann, among many more. But here, with the aid of diverse, yet cohesive arrangements, she seems far more in control of the recording process; singing with a voice much more her own- far less derivative, than in the past. The twelve songs (and one short instrumental reprise) offered here display a unity of presentation, without being repetitious. Several songs are aided by sumptuous string arrangements contributed by Dave Mills and deftly executed, with panache, by the Thirdd Angle String Ensemble. Other great local musicians, such as drummer/producer Gregg Williams, bassist Phil Baker (the rhythm section throughout this project) and guest stars: McKinley, Lara Michell, Linda Hornbuckle, Tony Furtado and Paul Brainard, add their talents to the scintillating production. The album kicks off with “Baffled Queen,” which begins with a gentle string introduction, before breaking into a forlorn ballad. 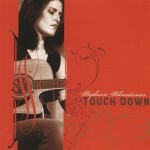 Augmented by Jean Pierre Garau’s moody electric piano and her acoustic guitar, Stephanie sings in a child-like manner, reminiscent of the Sundays’ Harriet Wheeler or Edie Brickell, a song about the unsure steps one sometimes takes in interpersonal relationships. A familiarly memorable chorus locks this song into one’s consciousness. Stephanie follows that with an up tempo, folk/country-tinged number, “Shadow.” Over acoustic guitar, mandolin and organ accompaniment, along with subtle electric guitar phrasings (and that rock solid rhythm section), Stephanie provides a quivering lead vocal, backed with ghostly harmony vocals, that reaches into her upper register in the choruses. Pretty. Pizzicato string arpeggios, a plaintive pedal-steel guitar and the looming suspensions of Baker’s upright bass underpin “You’re The One,” while Stephanie adds understated acoustic guitar to a introspective, minor-key number. “Professor Sunshine” heads toward a Fiona Apple sort of arrangement with drum loopy sounding drums, roiling piano and Beatles-esque flourishes, which are perhaps not best suited to Stephanie’s musical strengths, though the song does call for just such production touches and they are executed rather well. Better is the title track, which veers closer to a Tori Amos sort of approach, with elegant strings balanced against a delicate piano progression of Bflat-F-Aflat-Eflat (somewhat similar to that of Paul McCartney’s “Maybe I’m Amazed”). The melody to “Kid Domino” is borrowed directly from the “She’s well acquainted with the touch of a velvet hand like a lizard on window pane” section of John Lennon’s “Happiness Is A Warm Gun,” with approximately the same instrumental mood to accompany the poetic sentiment. Again, Fiona Apple comes to mind, as far as the arrangement is concerned, but the smoky ambiance of this take is much better suited to Stephanie’s recorded character. “Pendulum” is a dry, arid number, sparsely appointed- another Tori Amos-like setting- which neatly captures the sublime ambivalence of Stephanie’s love/hate lyrics. The laid-back down home feel of “All Gone” is accentuated by the nearly cliché I-vi-IV-V chord progression (a true relic from the ‘50s). Oddly enough, “Happiness Is A Warm Gun” is again evoked, as the chorus of that song contains exactly the same progression. Stephanie’s take is shone in more of a gospel-tinted light. A great slide guitar solo (Brainard? Furtado?) adds a nice touch toward the end of the song. The gospel flavor continues, with even more of an emphasis, on “Salty Blues.” Garau adds tasty piano and organ layers, while a full-fledged vocal chorus backs Stephanie across difficult and foreign vocal terrain. She holds her own, giving it her all, while pushing herself to the extremes of her somewhat limited projective vocal power. “Debutainted” returns to more familiar territory, with a more relaxed vocal delivery over a hip-hoppish beat and solitary electric piano punctuations ala Dido. Nicely done. The string section returns on the restless, quietly turbulent “How Happy.” Over fragile piano ornamentation, which recalls the backing to Patti Smith’s “Because The Night,” Stephanie lyrically bares her soul for perhaps the first time on this album, as she inspects her feelings toward an ex-lover whose life seems to be going well. Harriet Weaver again comes to mind on the ethereal “Gypsy Soul.” Another intimate song, that again speaks more deeply to Stephanie’s true heart, a vitally held sentiment that easily could be a big hit at weddings. Gaurau’s hypnotic electric piano embellishments add to the haunting quality of this lovely song. Stephanie Schneiderman along with her fellow musicians, the engineers and the producer have created a lovely album, full of stellar musicianship and superb taste. As a songwriter and vocalist, it is true that she is still finding her way. But the cohesiveness and dedication displayed here can only serve to guide Stephanie in precisely the right direction. For this was a project very well done, indeed. Perhaps the brightest female singer/songwriter prospect to appear on the local scene in the past decade, twenty-three year old Jasmine Ash has all the tools necessary for a long and successful career in the business of music. She has a voice and style all her own. She is already a vital songwriter, despite the fact that she only began learning to play guitar a little over two years ago, writing her first song six months later. She did not even sing before that- having been tossed out of middle school choir, for lack of vocal chops. Yet, she has recorded two albums in the past two years (this is her sophomore effort) and has her sights set on a third. But beyond all that, Jasmine has the smarts and the heart to make it in the music world- and those are things that can neither be learned, nor taught. Her determination wouldn’t mean much if Jasmine weren’t talented, but she’s got that covered too. Her voice has the demure quality of early Jewel, the youthful intimacy of early Kate Bush (Hounds Of Love-period); and the sweetness and purity of Bjork. Here, she is aided in her efforts by co-producers Dean Norton and the peripatetic Ezra Holbrook. Subtly utilizing elements of electronica in the production of each number, the co-producers color each song carefully, allowing natural colors and contours to rise to the fore. Jasmine’s thoughtful songs deal primarily with interpersonal relationships. Free of cloying sentimentality, instead, Jasmine’s songs traverse similar territory found in works by Sarah McLachlan and Tori Amos. Jasmine, who plays acoustic guitar for this outing, is joined by a backing band comprised of Holbrook on drums, Aaron Masonek on bass and Jason Henry on guitar. Holbrook and Norton add occasional keyboards, as well as various loops and electronic frills. The accompaniment is succinct, not flashy, but effective- adding understated detail and nuance, without cluttering up the sonic scenery. The album begins with “The Ride,” a winsome number, which finds Jasmine singing softly, reminiscent of Bjork (or maybe Lisa Loeb a little bit) a pretty melody- which dances its way directly into the brain. While an insistent drum beat propels the rhythm section, Henry deftly layers various guitar passages. 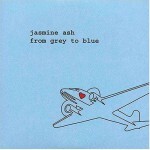 A great introduction to Jasmine Ash’s music. A whirring beat loop, and vague guitar, wash beneath Jasmine’s fragile soprano vocal on “No One Came,” as she harmonizes with herself in the pretty chorus. When the band finally kicks in for the second verse, it is with a great deal force, dramatically upping the emotional ante of the song. Here’s another memorable winner! “Fall” hinges upon Masonek’s elegant bass fulcrum, Jasmine’s chirping acoustic guitar, and a haunting electric piano phrase. The drums finally enter in the lovely chorus, powering the tune home on an engramatic level. Another hit song. “By Accident” is a cheerful sounding ditty about breakup and betrayal, with an abrupt ending. Returning to more familiar turf, “Somehow” is a gentle ballad, forlorn electric piano chords and a worried organ tone, along with Jasmine‘s acoustic guitar, anchored by a mechanical drum loop. Another piquant chorus follows, so sweet could it could charm stone. Another strong chorus drives “Dissatisfied,” an uptempo rockish tune, worthy of Dido or Sarah McLachlan. Radio friendly, to be sure, this song too could easily be a hit at college radio, memorable and meaningful. “My Thick Skin,” another waltz, seems like an appropriate coda to the preceding piece. The peculiar flute-like keyboard tone found in Kate Bush’s “Mother” on her Hounds Of Love album, is perfectly reproduced on ”No Cause For Regret.” Over a rattling closed hi-hat and smoky hand drum loops, occasional waves of guitar sweep by, as Jasmine outlines the domain of her exile and pain, determined to forge a new and better life. Another up tempo number, “Dear Christopher,” is a dizzy dance in three, with a familiarly unforgettable chorus, again worthy of radio airplay- in a just universe. Jason Henry’s smoldering guitars and an array of swirling keyboard loops add to the sense of a maelstrom in the process of reaching subsidence. Jasmine’s mature world view and grounded emotional center (hard won, it would seem, to be sure) is contradicted by her ingenuously youthful voice- a paradox which greatly adds to her allure as an artist and a musician. It is her profound inner wisdom, in the face of personal upheaval, which is most evident in Jasmine Ash. Her unique voice and solid songwriting skills are beyond reproach and beyond the need to appraise or criticize. With the help of Holbrook and Norton and the other musicians who contributed to this album, she has sculpted a tribute to her heartfelt pain, erecting a true testament to her inner strength and sense personal vision. It is rumored that Howard Rosen, the man who discovered Blondie, has taken an interest in Jasmine. He is not the first, nor will he be the last music industry magnate to hear promise in her work. She fairly exudes raw talent. 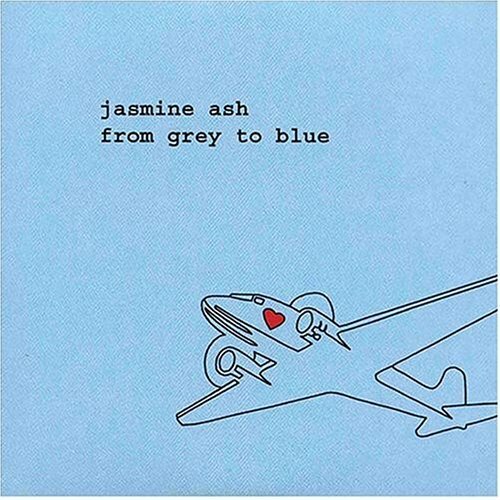 With her pensively brilliant reflections and a vibrantly intuitive knowledge of her craft, Jasmine Ash is a true star in the making- someone who very soon is going to make a real impact in the music world. 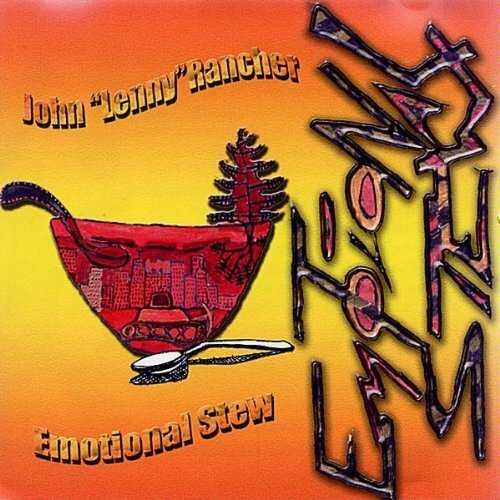 Lenny Rancher has been an integral part of the Portland music community for twenty five years. His first band was the Malchicks, formed with his brother Billy, a rowdy, raucous quintet who were known as much for their snotty behavior as they were for their music. Billy went on to forge the Unreal Gods, garnering massive critical attention, before he died of lymphoma in December of 1986. Somewhat overshadowed by his brother’s success, Lenny went a different, less visible route, quietly amassing a musical legacy of his own with an assortment of bands. Just as important, has been Lenny’s activism. Involved with environmental issues for the past decade, especially the fate of our forests (Eagle Creek), he has been at the vanguard of the protest movement. Lenny (as is a family trait) walks the walk and talks the talk. This ambitious, 2-disc, twenty-eight song canon contains many insights into Lenny’s political views and experiences- as well as giving a fine aural portrait of his psyche. This is a very personal album, while being politically aware at the same time. Very few artists are as skilled at balancing between those two poles. The most successful would be Bruce Springsteen. Lenny is no slouch either. Besides writing and singing all the songs, Lenny plays all the guitars, as well as some bass and keyboards. He is occasionally joined by former bandmates, bassist Franklin Stewart and drummer Pete Jorguson. In addition, the ubiquitous Mel Kubik on keys and sax and vocalist Emily Dahmen make several appearances- as well as other contributions from several other musicians. Greg Paul engineered the project at his Herbert House Studios. A downhome, slightly sloppy, Stonesy groove informs “Rebirth,” with Lenny’s Keith-like guitar interjections, playing off jangling acoustic guitar and comfortable vocals. “I’m Alright” combines a John Lennon-like sensibility with a Doobie Brothers sort of drive. Lennon again comes to mind with the pretty ballad “Flowers In The Meadow,” and in spirit anyway, on the very cool “3:30.” Over a restlessly sad and slightly woozy chord progression, Lenny delivers a wry perspective: “She sees me, and she wants a piece for free//A piece for free/I’ll let her run the roughshod over me/Over me.” A fiery solo at the end of the song locks it in as one of the best of the first disc. A faint reggae feel invests the insightful “True American,” a song which (unfortunately) really has the basic American lifestyle pegged. And it ain’t very pretty. Sax backing from Kubik and fine drum work from guest Danny Knudsen, not to mention Lenny’s own sure-handed contributions on bass and guitar. Another strong song. “Emma Goldman” is a slinky rave-up rocker whose subject surely would have loved the suitably unusual treatment. A rabble rouser! Guest Aaron Lowe’s fluid harmonica fills decorate the lonely , country inflected song, Tom Pettyish “She’s Not Coming Back.” Dylan is the obvious influence in the conception and delivery of the apocalyptic “Machines And Streets.” “Scarecrow” stylistically falls somewhere between the two. Another bluesy rocker, “F.B.I. Blues” speaks to the state of live one acquires when one chooses to make waves in society.. “Pistol To My Face,” though more subdued, speaks to the same paranoia. Tasty guitar work and nice piano phrasings frame “Waterfall” subtly espouses a political viewpoint that is well in the minority in our culture- as pertinent as it may be. “Freddy Fired At Me,” is a searing slide guitar rocker with a similar anti-establishment political stance. Lenny’s guitar playing is simply superlative though out the track. The true reggae number “Belly Of The Beast” speaks directly to the problem: “I drove through the belly, the belly of the beast/Once was forest, but now there were no trees.” A very heavy song. The title cut is a vibrant piece of modal magic. Disc Two, a softer more stripped down acoustic set, opens with the pretty little country flavored ballad “For The Dreams Of John And Mary.” Lenny adds very nice acoustic slide guitar to the mix. “Sunburnt” is a tribute to those oddly heroic characters who choose to climb up old growth trees in order to prevent them from being cut down. “Sacred Place” is a solemn prayer of a song with a Mark Knopfler feel to Lenny’s well-executed solo. “This Town Alone” is a somber paean to the loss of the American Dream. “I’m A Lover” is a simple declaration of peace. Dahmen’s evocative close harmony vocals bring out the pathos in “Forest Canyon.” Her vocal blend with Lenny on “Freedom” is seamless and sublime, creating an unique sound for an exquisite little gem of a tune. Finally, “How Come You’re In My Dreams” is a simple song with a Zen-like philosophy playing within the lyric. 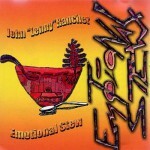 Now working in his fourth decade in the local music scene, John “Lenny” Rancher proves himself to be a consummate musician and a talented songwriter. With nearly three albums worth of material here, it is hard to do justice to the breadth and scope of Lenny’s material. He cares about people and he cares about the land we live upon and he has acquired the means to express his opinions with forthrightness and intelligence.